To assess the unit cost of level II neonatal intensive care treatment delivered through public hospitals and its fiscal implications in India. Four Special Care Newborn Units (SCNUs) in public sector district hospitals in three Indian states, i.e. Bihar, Madhya Pradesh and Orissa, for the period 2010. Bottom-up economic costing methodology was adopted. Health system resources, i.e. capital, equipment, drugs and consumables, non-consumables, referral and overheads, utilized to treat all neonates during 2010 were elicited. Additionally, 360 randomly selected treatment files of neonates were screened to estimate direct out-of-pocket (OOP) expenditure borne by the patients. In order to account for variability in prices and other parameters, we undertook a univariate sensitivity analysis. 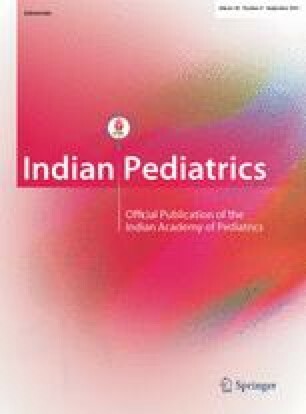 Unit cost was computed as INR (Indian national rupees) per neonate treated and INR per bed-day treatment in SCNU. Standardized costs per neonate treatment and per bed day were estimated to incorporate the variation in bed occupancy rates across the sites. Overall, SCNU neonatal treatment costs the Government INR 4581 (USD 101.8) and INR 818 (USD 18.2) per neonate treatment and per bed-day treatment, respectively. Standardized treatment costs were estimated to be INR 5090 (USD 113.1) per neonate and INR 909 (USD 20.2) per bed-day treatment. In the event of entire direct medical expenditure being borne by the health system, we found cost of SCNU treatment as INR 4976 (USD 110.6) per neonate and INR 889 (USD 19.8) per bed-day. Level II neonatal intensive care at SCNUs is cost intensive. Rational use of SCNU services by targeting its utilization for the very low birth weight neonates and maintenance of community based home-based newborn care is required. Further research is required on cost-effectiveness of level II neonatal intensive care against routine pediatric ward care. X-Rates. 2010 — Indian Rupees to 1 USD (invert). Accessed from http://www.x-rates.com/d/INR/USD/hist2010.html on 1 July 2012. 2010.